E. David Crawford, MD, presented “PSA: Why 1.5 is the New 4” on May 21, 2018. E. David Crawford, MD, is an internationally renowned urologist, distinguished endowed Professor of Surgery, Urology, and Radiation Oncology, and Head of the Section of Urologic Oncology at the University of Colorado Anschutz Medical Campus in Aurora, Colorado. Dr. Crawford is an expert in benign prostate hypertrophy, urologic cancers, and in particular, prostate cancer. He has authored many scientific articles, as well as textbook and book chapters. He is an editorial reviewer or consultant for many publications, including Urology, Journal of Urology, and the Journal of Clinical Oncology. Dr. Crawford is a member of many organizations, including the American Society of Clinical Oncology (ASCO), the American Urological Association (AUA), and the American Association for the Advancement of Science (AAAS). He is the Founder and Chairman of the Prostate Conditions Education Council, which is responsible for raising awareness and screening of millions of men for prostate health issues. He has received many awards, including the CaP Cure Annual Award for Scientific Presentation, and has twice been presented with a “Freddie Award” for best medical documentaries. He has long been recognized as one of the Best Doctors of America, and is recognized as one of the top 20 urologists in the country for men, by Men’s Health Magazine. 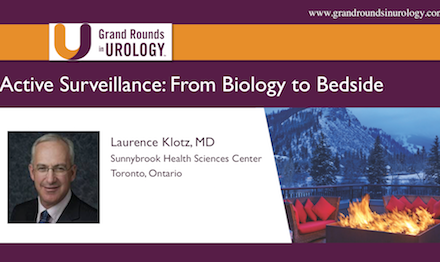 Active Surveillance: From Biology to Bedside Who fails, why, and how can we prevent this? Is PSA Still the Best Test for Early Detection?